A while ago I saw a video and twitter posts about these plant pots from Hannah in the Yogscast and really wanted them. They’re more than I’d normally pay for plant pots but they’re so cute and I have plants that I think will look really good in them. 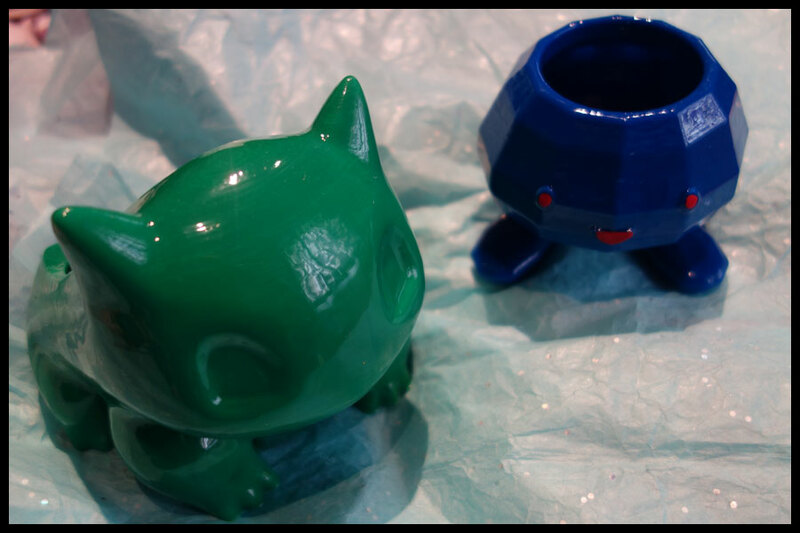 These Pokemon Planters are of Bulbasaur and Oddish, they’re the only two Pokemon they do which is why I got them but they’re ones that will look great with plants growing out of them. Both of these are available from various shops on Etsy though the one I bought these from is the best looking to me, this is the Madarakis store page. Most of them still have the step effect of the 3D printing process and they seem to be more matte than these are. These are smooth and have a shiny finish which I prefer. They’re available in three sizes each; classic, mega and giga and I got the Bulbasaur in giga and the Oddish is mega. If you do want to get one of these I’d recommend getting a ruler and checking the measurements as they do come smaller than I expected when I did this but they are a nice size for smaller succulents and cacti. They’re made with ABS plastic which means they’ll survive the sunlight which is very good for a planter for cacti and succulents considering how much the ones I want to put in them like it on windowsills. 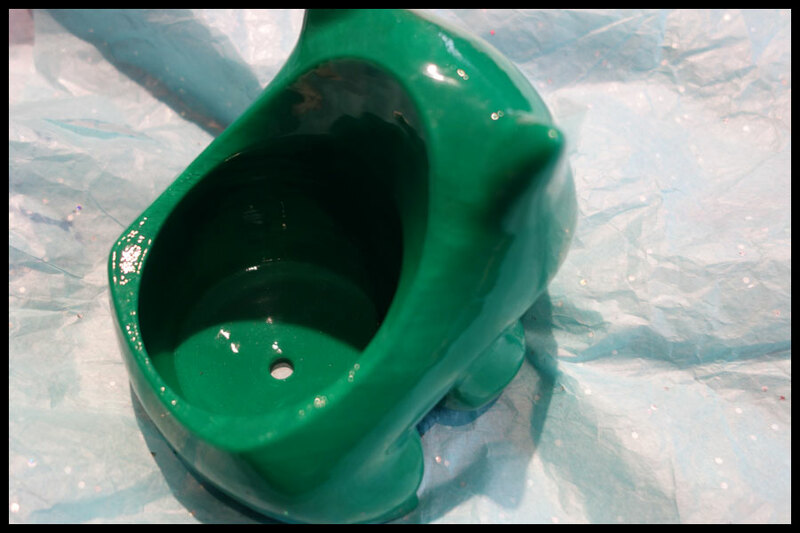 The first one I really wanted was the Bulbasaur, it’s a nice smooth but very basic design, it has a small hole in the bottom of the planter for drainage. It’s available in the three sizes; classic (£9.16), mega (£15.27) and giga (£30.54) and there are measurements in the link for each of them. I chose the largest as I thought it would best fit the plant I want to put in there. They’re also available in a lot of different colours including glow in the dark though I chose the green one as I thought it would work best, it’s not really showing up that true to the colour as it’s a nice forest green. I really like the way this turned out, it’s nice and smooth and shiny and the edges of things like the eyes and between the toes are well rounded. You can see the lines of the different layers but it’s subtle enough that it just adds a bit of texture or pattern rather than making him look stripy. It’s very light compared to what I was expecting but it is made of plastic, with the earth in it’ll be heavy enough and the size of its base will stop it from overbalancing with the plant in. The Oddish design is more angular, it’s still smooth but it’s got the computer generated angular look and reminds me of the style of games I used to play on the PS2. It’s only available in one colour but I love the dark blue and its face has been painted on it a more matte red. It’s also available in the three sizes, though this time I went for the middle of them, and they’re the same names; classic (£9.16), mega (£13.74) and giga (£30.54). The inside of this is more round and follows the shape of the pokemon itself so the hole at the top is smaller than its widest point so it’ll hold more soil or compost than it looks. 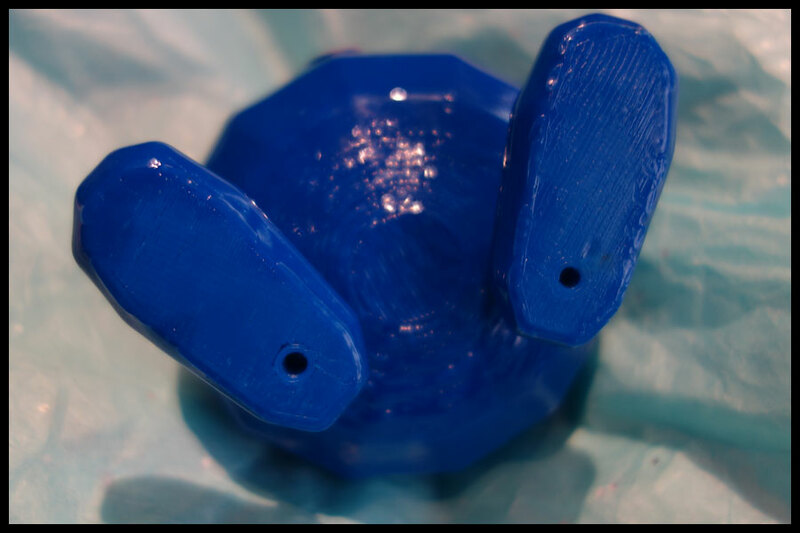 I like how the little drain holes go through its feet, it means it can stand in a saucer and drain well if needed without it making a mess of the outside of the pokemon. The lines of the layers are less obvious on this one apart from when you look underneath where you can see how the printer did the outline of its feet and then went back and forth to make it. It’s probably not that interesting to most people but I like that you can see that, I’ve always wanted a 3D printer so it’s interesting to see how it actually made it. I have a purple echeverius which will look great in the Bulbasaur, though I’m waiting for it to recover properly as it’s not in the best condition at the moment and I want to try and replant the top and try growing some leaves on so I’ll do it next year in spring to give it the best chance. I have a spiky plant, not sure what it is, but it’ll look good in Oddish and it grows so well here that it went from one that was about ten centimetres wide to now being about two feet tall with probably tens of them all growing in amongst each other so I’ll try to remove a leaf or a whole small plant to use that. I’m not sure this is much of a review, they’re really nice and I’ve gone into a bit of depth about them but I just wanted to show them because I love them and can’t wait to plant things in them. I do love Pokemon and cacti or succulents and it reminds me of the way we used to grow cress out of the tops of tights and draw a face on them so it looked like hair growing. 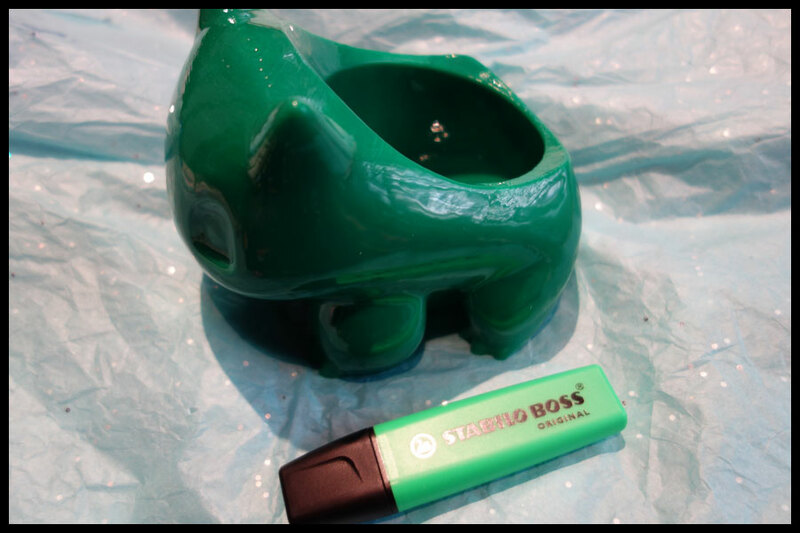 I have also seen that there’s a Christmas Bulbasaur available in the classic size, I am so tempted to get it as a decoration even though it’s a plant pot, not sure what I’d put in it, maybe see if it fit around my mini Christmas tree pot. 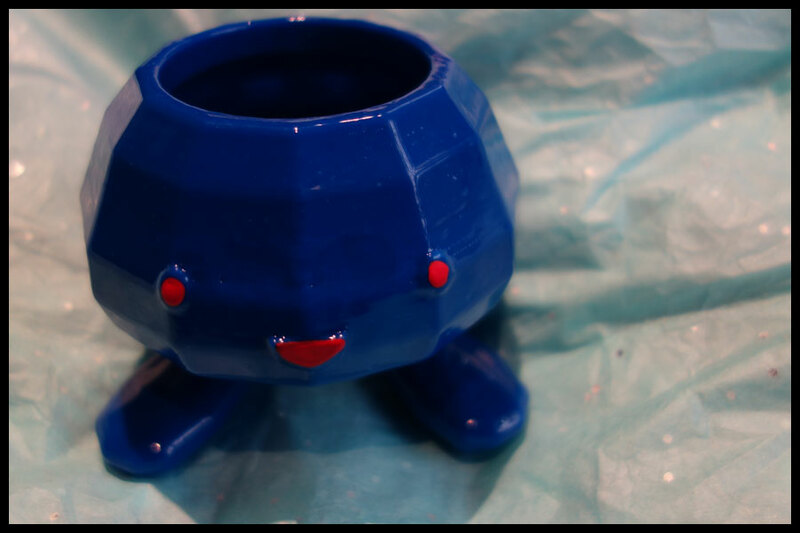 The Etsy store itself is really good, there are a range of other things done with a 3D printer, I very nearly bought the Boo planter as well from Super Mario. The delivery was very fast, Etsy isn’t letting me post a review until 23rd October as that was estimated date of arrival I think, and it got here to the UK from Greece in one piece with no scratches despite the box being a bit dented and worse for wear. The prices are higher than some of the others doing similar things but they’re level or lower than the other one or two I found that do the shiny finish. 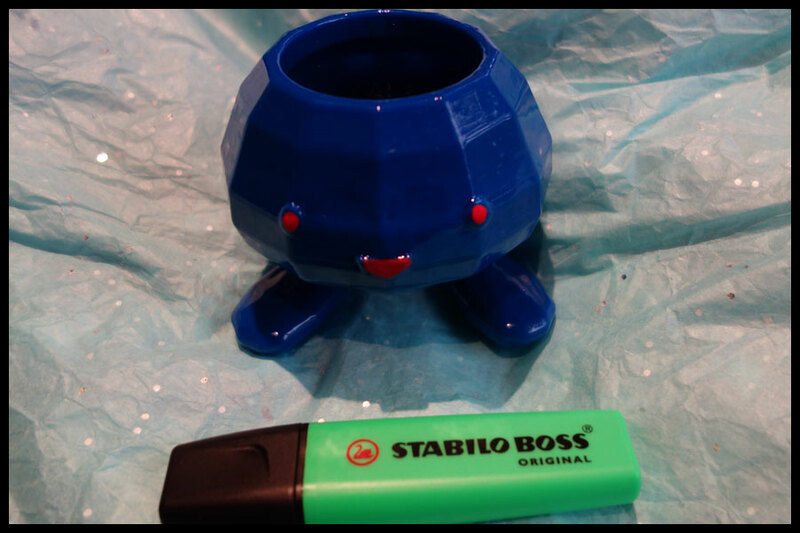 I did also get 15% off, the owner sent me a message after I favourited the Bulbasaur planter with a code and I got another 15% off my next order in the box when this arrived. 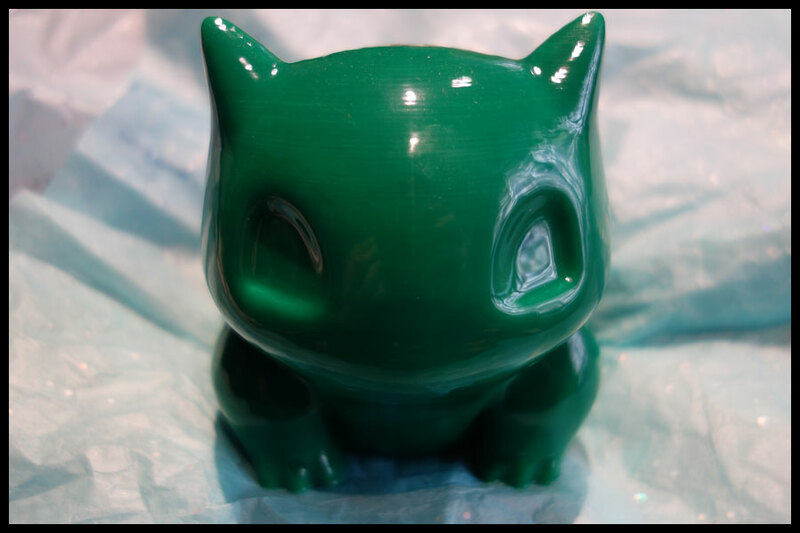 Overall I’m very impressed, I haven’t bought anything done with a 3D printer before but I do like this finish and think these and some of the others on the store would make nice gifts for people who like these sorts of nerdy things. They feel light but sturdy and I don’t doubt that they will last well with plants and soil in them. They do also feel like they’d survive a fall if you have small children or animals that like to knock things over, I know that anything at the right height for my dog’s wagging tail needs to be at least able to survive the drop to the floor so plastic and robust things are a must for coffee tables and low sides so I imagine it’s the same with cats and they can get a lot higher.